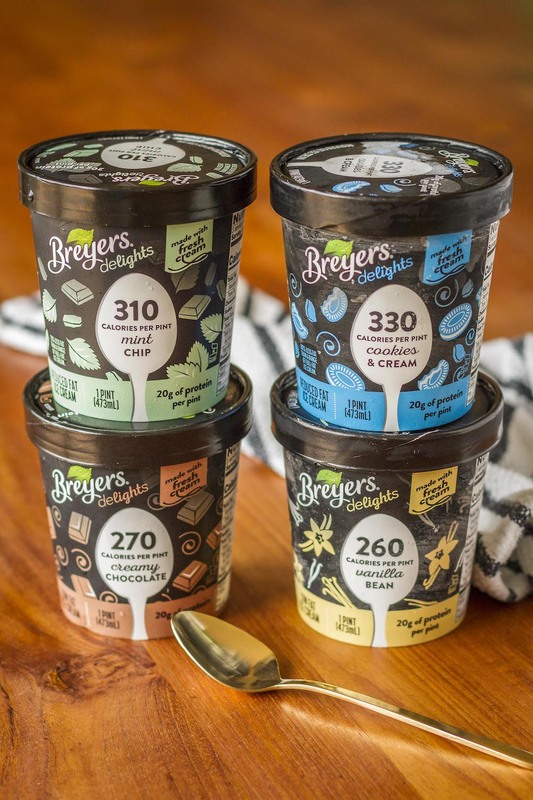 But leave it to Breyers to take it one step further — each pint is also packed with 20 grams of protein. WHAT??? That’s right! 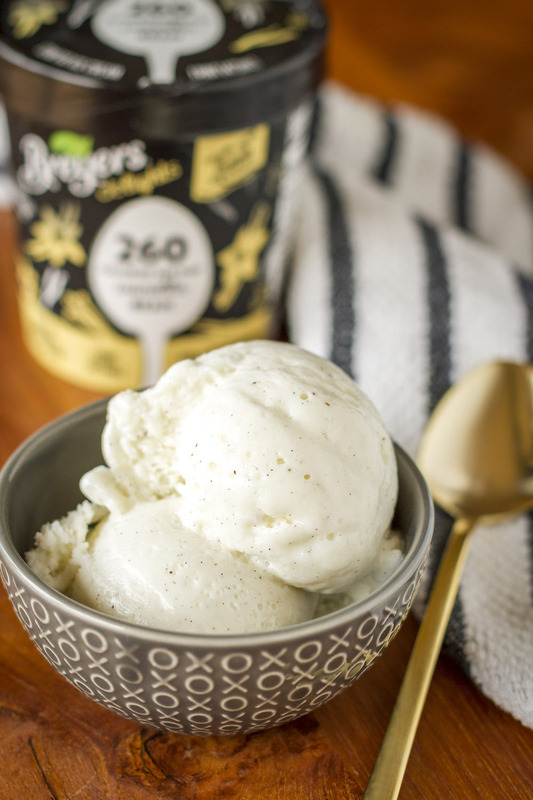 Breyers delights is a better-for-you ice cream that can be enjoyed practically any time! Wanna know my fave? Totally the Mint Chip… Surprising, huh? You guys know I’m a diehard chocolate lover, and while I adored the Creamy Chocolate, the Mint Chip simply blew me away. It’s got this refreshing, extra minty flavor with chips of dark chocolate folded in, similar to a Peppermint Patty — which I also happen to love. But really, there’s not a bad flavor in the bunch — and I DID try all four flavors. You know, for research purposes and all, lol. If you’re wondering about the consistency, Breyers delights are not quite as creamy as regular ice cream. After all, they are made with skim milk instead of cream…. But they are truly the perfect compromise between indulging and sacrificing a healthier lifestyle. They even got a thumb’s up from my kids, so there’s that! Currently, Breyers delights are only available at select Giant Eagle locations. So if you’re a Giant Eagle shopper, this is your lucky day! 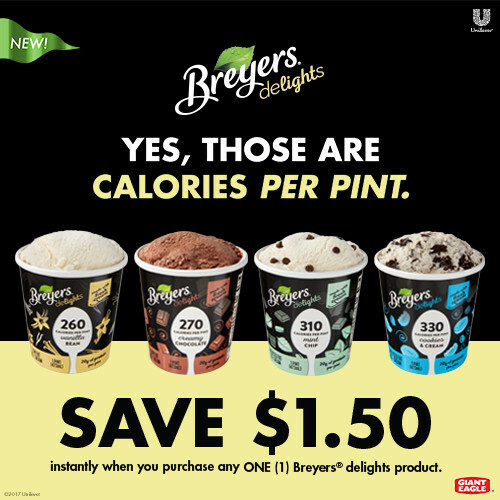 Be sure to clip this $1.50 off one Breyers delights pint ecoupon to your Giant Eagle E-Advantage card to save in store. 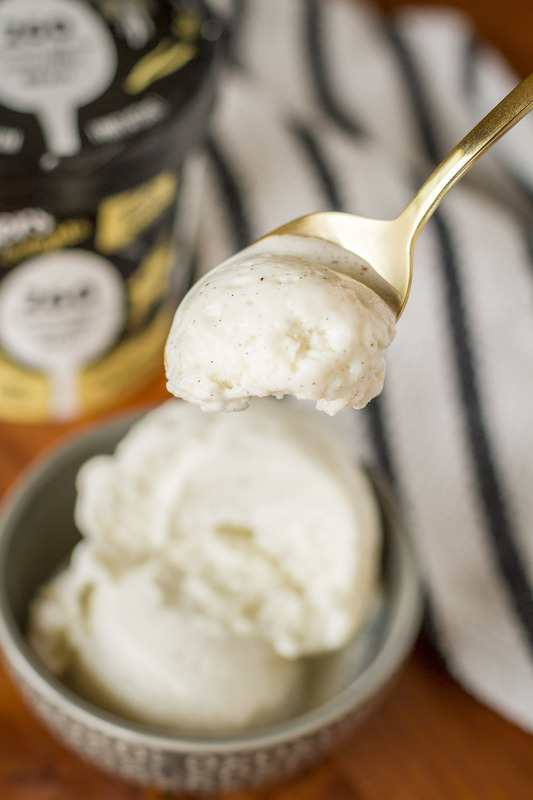 Have you tried Breyers delights, yet? I’d LOVE to hear what you think! And if not, which flavor are you going to try first?? ?